Dalam Malaysia pun tak habis jelajah, inikan pulak kisah dunia. Namun, uols patut ambil tahu tempat menarik di serata dunia, mungkin satu hari nanti ada rezeki ke sana. Betul tak? 1. 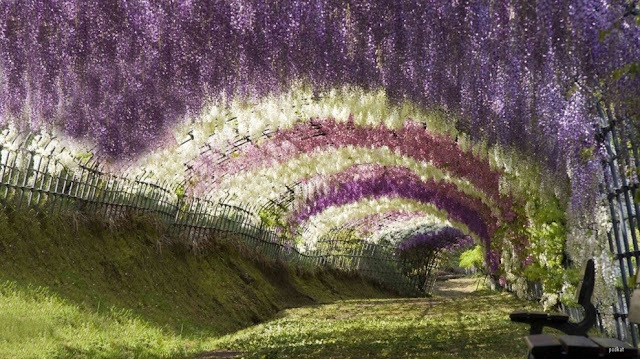 Wisteria Tunnel - is located at the Kawachi Fuji Gardens in Kitakyushu, Japan. Flowering trees hang overhead and the different colored rows speckle the garden. 2. 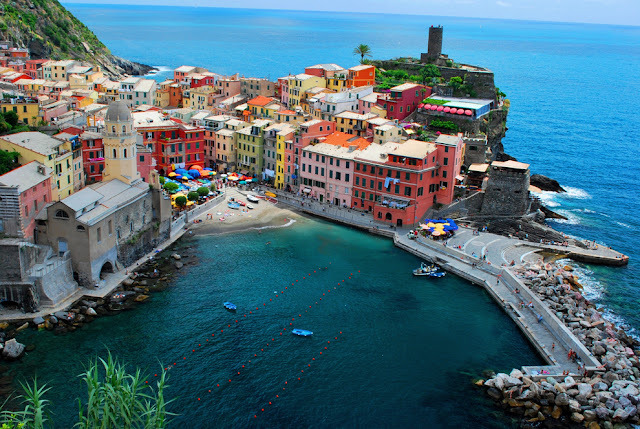 Cinque Terre - is part of the coast in the Liguria region of Italy. The terraces built on the rugged landscape are a popular tourist attraction. 3. Hotel La Montaña Mágica - Magic Mountain hotel is exactly what you think it is. It’s a hotel shaped like a mountain that spews water from the top. 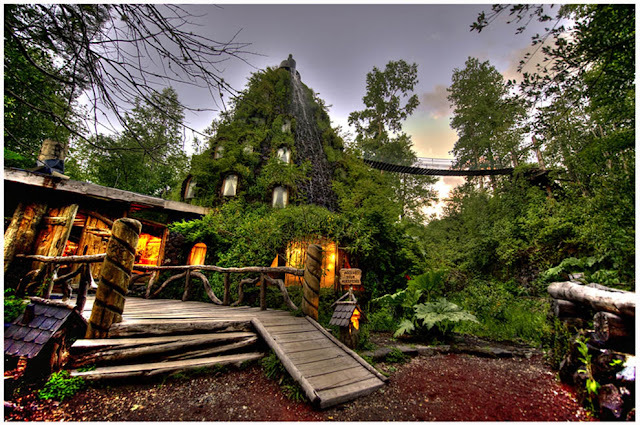 It’s located in Huilo Huilo, a private Natural Reserve in the Los Rios region of Chile. 4. 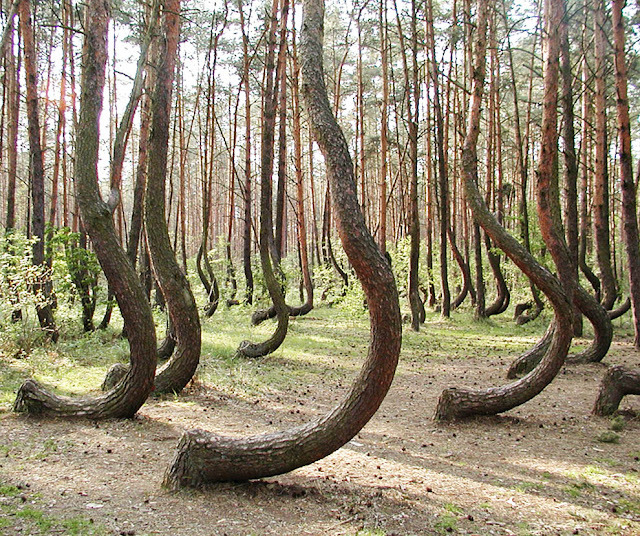 The Crooked Forest - The Crooked Forest is located right outside of Nowe Czarnowo, West Pomerania, Poland. The grove contains approximately 400 pine trees with bent trunks. They were planted sometime in 1939, but why or who made them crooked is unknown. 5. 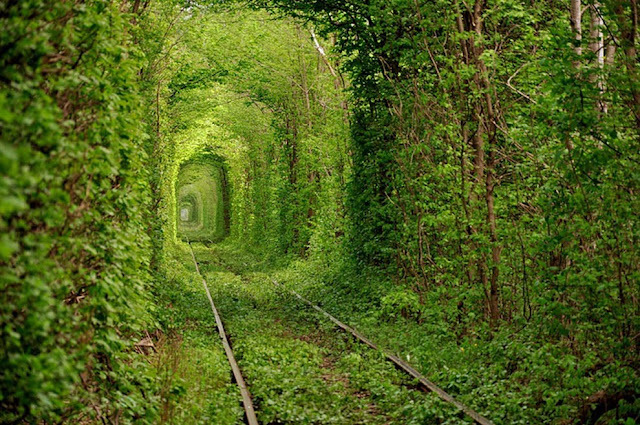 Tunnel Of Love - Giant trees surround this old train tunnel located in Kleven, Ukraine. The magical-looking place is nicknamed “The Tunnel Of Love” by locals because it is a popular spot for couples to visit. 6. 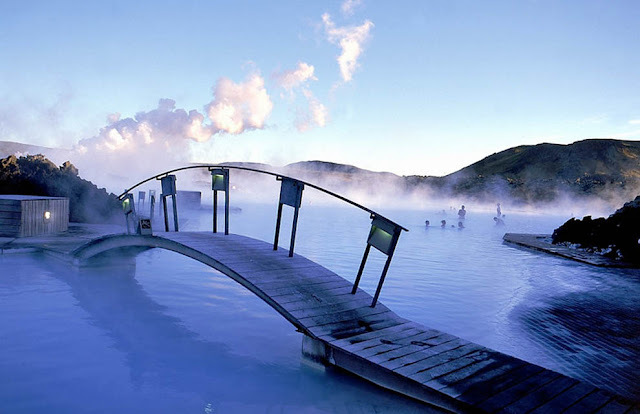 Blue Lagoon Hot Springs - The Blue Lagoon hot springs in Iceland are man-made bodies of water, but the springs are heated naturally with the volcanic activity on the island. The springs are especially beautiful in the snowy winter, and the water still quite toasty. 7. 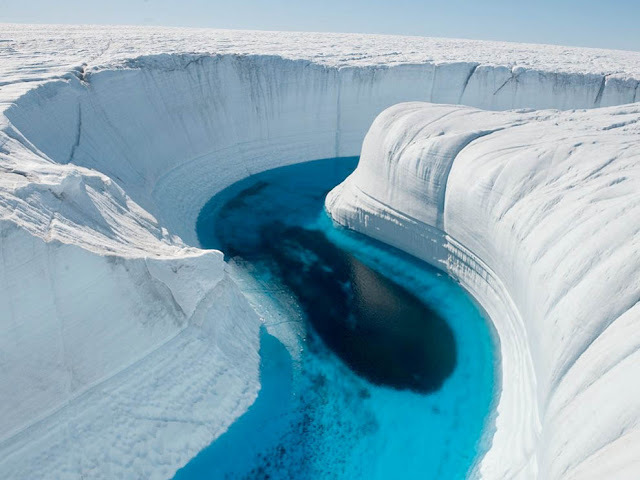 Ice Canyon - The ice canyons in Greenland were carved by meltwater and are as deep as 150 feet. 9. 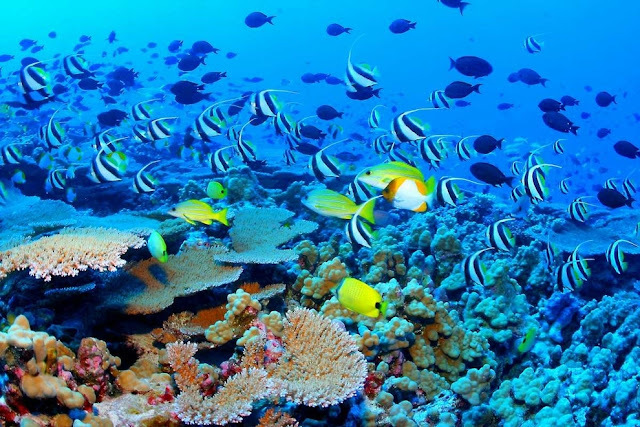 The Great Barrier Reef - The Great Barrier Reef is the world’s largest coral reef system. 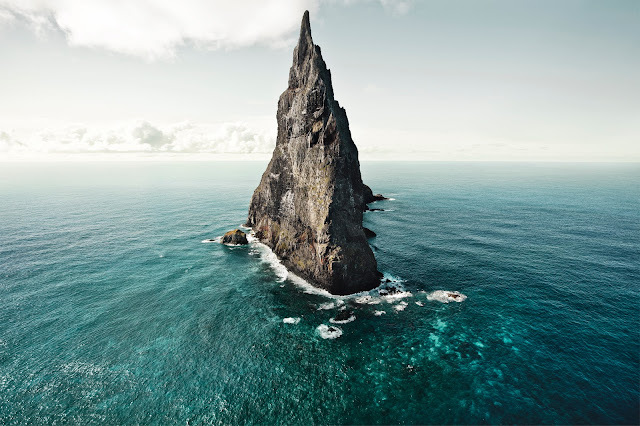 It’s located in the Coral Sea, off the coast of Queensland, Australia. It’s so large, you can see it from outer space. The reef is a very popular destination for scuba divers and other tourists. 10. 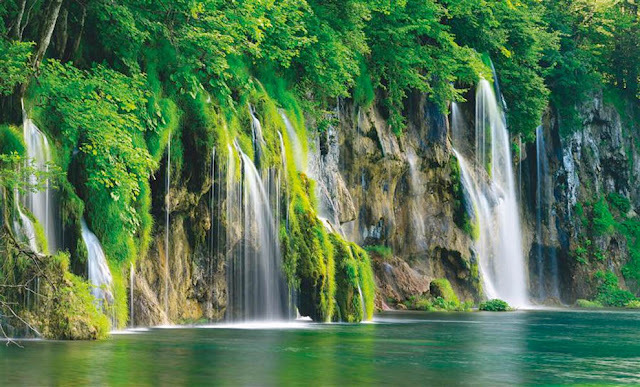 Plitvice Lakes National Park - Plitvice Lakes National Park is the oldest national park in Southeast Europe and the largest park in Croatia. The park is filled with luscious green scenery, beautiful lagoons, and amazing waterfalls. 11. 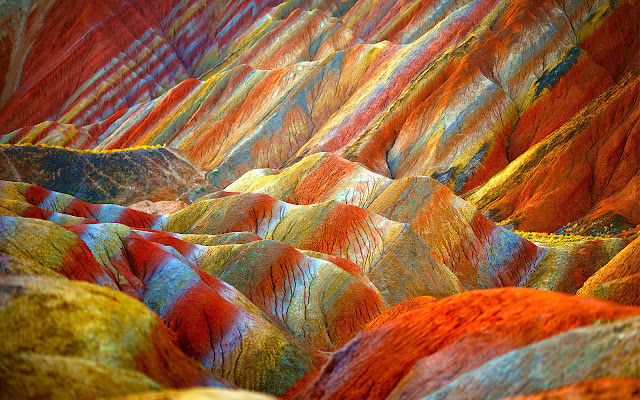 Zhangye Danxia - China Danxia is the name given in China to landscapes developed on continental red terrigenous sedimentary beds influenced by endogenous forces and exogenous forces. The inscribed site comprises six areas found in the sub-tropical zone of south-west China. 12. 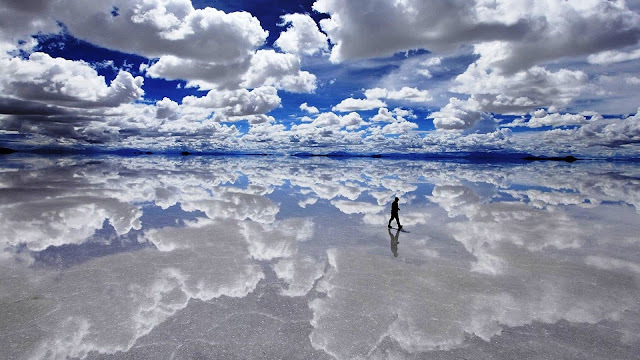 Salar de Uyuni - comprises over 10,000 sq km in the Potosi region. The salt is over 10 meters thick in the center. In the dry season, the salt plains are a completely flat expanse of dry salt, but in the wet season, it is covered with a thin sheet of water that is still drivable. 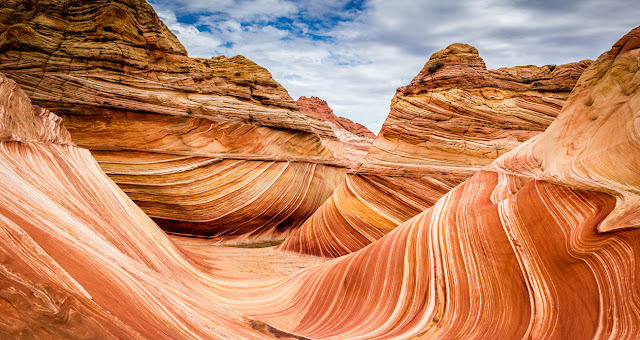 13.The Wave is a sandstone rock formation located in the United States of America near the Arizona-Utah border, on the slopes of the Coyote Buttes, in the Paria Canyon-Vermilion Cliffs Wilderness, on the Colorado Plateau. 14. Machu Picchu - is located in the Cusco Region, Urubamba Province, Machupicchu District in Peru. Most archaeologists believe that Machu Picchu was built as an estate for the Inca emperor Pachacuti. 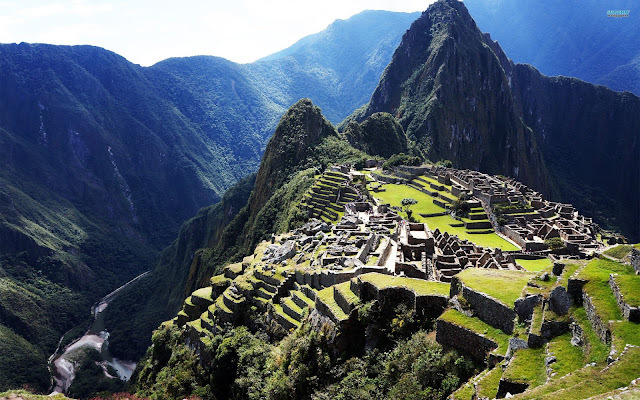 Often referred to as the "Lost City of the Incas", it is perhaps the most familiar icon of Inca civilization. 15. 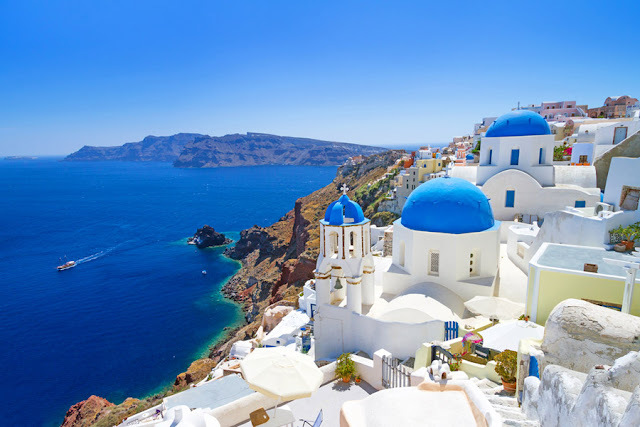 Santorini is an island in the southern Aegean Sea, about 120 mi southeast of Greece's mainland. It is the largest island of a small, circular archipelago which bears the same name and is the remnant of a volcanic caldera. 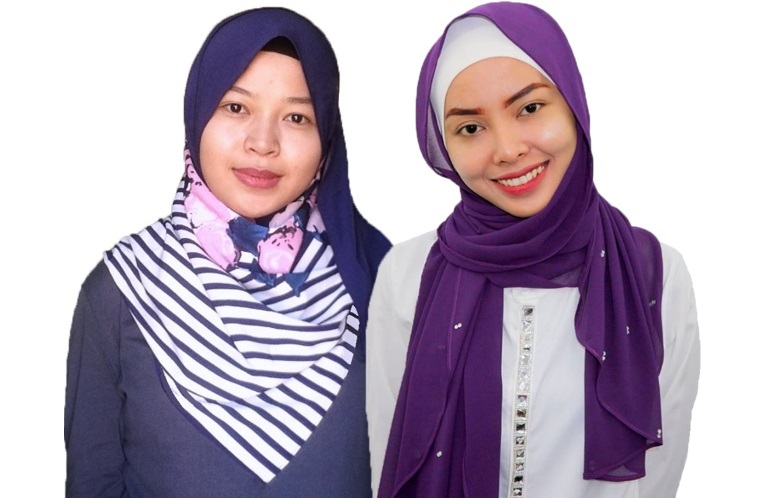 hi kak.rabia singgah sini tau.wah cantik tempat santorini tu.